Slaton Manor is a high-rise condominium building in Buckhead. Residents love the quiet sophistication of the location; just one block from Peachtree Road and just about any store you can imagine. These condos boast spacious and bright rooms with ample space in the kitchen as well as very reasonable price tags. You’ll also love the swimming pool, covered parking and HOA fees that include your utilities. In a pet loving city like Atlanta, it is rare to find an animal-free retreat. 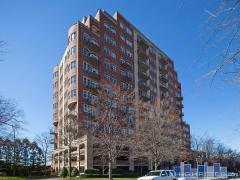 Relax in this well-maintained condo building without any furry friends underfoot. Have any comments or questions about Slaton Manor? Ask your question and/or share your thoughts about this Building.